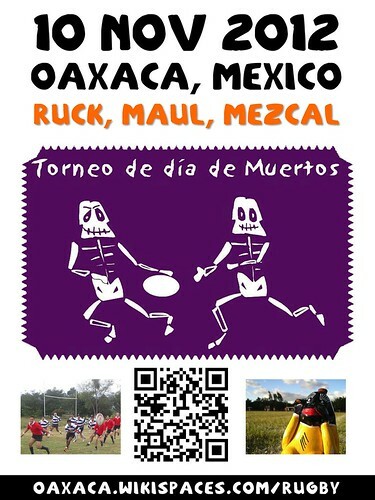 Ruck, Maul, Mezcal: Oaxaca Hosts Rugby Tournament in November #oaxacatoday, originally uploaded by planeta. Nothing can replace fútbol – known here as soccer- as the most popular sport in Mexico, but baseball comes in a strong second. From Tijuana to Tampico, in the large cities and the smallest villages, you find ballparks. Some are impressive stadiums with manicured grass, many more are just dirt fields where corn used to grow. I have driven thousands of miles throughout the back roads of Mexico, and I am always amazed and heartened to see, even in otherwise impoverished towns and villages, a group of adults or kids throwing the ball – playing a pick-up game. It reminds me of life in small-town America not so long ago. No one really knows when the game of baseball was first played in Mexico. A popular theory has the first evidence of play dating back to the U.S. – Mexican War, when idle American soldiers played near the town of Xalapa, Veracruz, in 1847. Other towns make the same claim; that the soldiers first played around that time in their town, so, quién sabe? We do know that it wasn’t until 1925 that the current version of the Mexican League was formed, with all six teams playing their games in Mexico City http://mlb.mlb.com/news/article.jsp?ymd=20040107&content_id=626058&vkey=news_mlb&fext=.jsp&c_id=null . The Mexican League level of play soon became comparable to the north-of-the-border Major Leagues, helped by Mexico’s more enlightened views on race. For the next 22 years, until Jackie Robinson signed with the Brooklyn Dodgers in 1947, finally integrating baseball in America, many of the great African-American players chose to play in Mexico at one time or another, including Hall of Famers Willie Wells, Josh Gibson (perhaps the best catcher ever), Satchel Paige and Cool Papa Bell. They not only liked the money, they liked the lifestyle, the food, the fun – and the acceptance of their skin color. In 1946, flamboyant Mexican businessman Jorge Pasquel attempted to rival the American Major Leagues by offering large salaries to some of the game’s biggest stars, including Ted Williams and San Francisco’s favorite son, the great Joe DiMaggio. And although those two declined to make the move, nearly 20 other white players, such as Mickey Owen and ex-New York Giant pitching star Sal Maglie, did. Alas, Pasquel’s dream soon faded as revenues failed to match expenses, and interest in baseball in Mexico went into semi-hibernation for the next decade, as a faltering Mexican economy made it tough to sell game tickets. This fascinating story of sport, race and imperialism is wonderfully described in what many, including me, consider to be the best baseball book ever, “The Veracruz Blues” (http://www.amazon.com/Veracruz-Blues-Mark-Winegardner/dp/0140260285) by Mark Winegardner. In 1957, baseball in Mexico was magically revived thanks to a rag-tag Little League team from Monterrey, Mexico. After beating every team along the way to the World Series in Willamsport, Penn., their star pitcher, Angel Macias, became a national hero when he threw a perfect game against La Mesa, Calif. – a feat accomplished only 18 times in the entire history of Major League baseball. This unlikely victory captured world-wide attention – and baseball interest was back in Mexico for good. Today’s Liga Mexicana de Béisbol (http://liga.mexicana.milb.com/index.jsp?sid=l125) comprises 16 teams, spanning the entire country. The league is now affiliated with U.S. Major League Baseball , and is one of three designated Triple-A minor leagues, one step below the major league level. The others are the Pacific Coast League and the International League. They play excellent ball, easily surpassing the best U.S. college teams. If you’ve never witnessed a minor league game, you are missing the true essence of the game, stripped from the hype, over-the-top marketing, insane salaries, and prima-donna players so prevalent today in the majors. 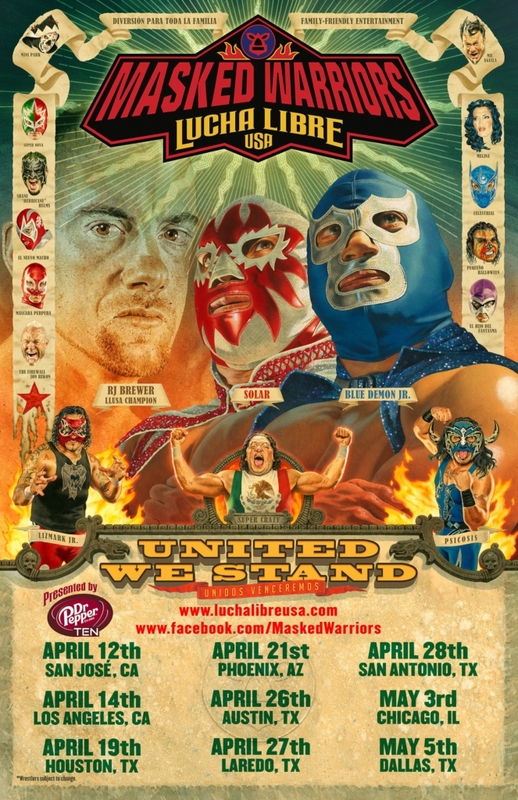 And so it is in Mexico, where the stadiums seat as few as 6,000 maximum in Campeche, to as many as 27,000 in Monterrey. You can usually park for free on the street and ticket prices run well under $10, generally just $1 – $5; add a bottle of Corona and a mesquite-grilled taco for about 30 pesos, or a little over $2. Of course, not every Mexican can afford even these prices, but many can. A family can easily enjoy a night at the ball yard for under $20. The whole experience is like attending a carnival, with patrons joking with umpires and players, as the scantily clad cheerleaders enthusiastically lead the charge in rooting for the home team. The camaraderie and sense of community that the town derives from this common experience are extremely important to a country that values friendships and family above all. The league is divided into two divisions, north and south. 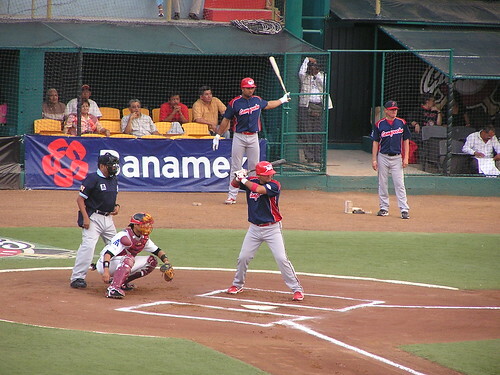 The North Division has teams in Chihuahua, Monclova, Mexico City, Monterrey, Nuevo Laredo, Reynosa, and Saltillo. The South Division is represented by Campeche, Minatitlán, Oaxaca, Puebla, Cancún, Villahermosa, Veracruz, and Mérida. Mexico also has a separate winter league Liga Mexicana del Pacífico (Mexican Pacific League) (http://www.baseball-reference.com/bullpen/Mexican_Pacific_League), running from early October until December. The league has eight teams in small towns in northwestern Mexico at Culiacan, Guasave, Hermosillo, Mazatlán, Mexicali, Los Mochis, Navajoa and Obregón. Many Major League players have played in this winter league to keep their skills honed between seasons, and some others go to play out their career, when they are no longer performing at the major league level. Even the great Fernando Valenzuela pitched in Mexico after his major league career had ended. You might be surprised to learn that nearly 100 major leaguers, past and present, were born in Mexico. The first was Mel Alamada, from the state of Sonora, who was signed by the Boston Red Sox in 1933. The best known players are aforementioned Dodger Hall-of- Famer Fernando Valenzuela and Oaxaca-born Vinny Castilla, who had a great 15-year career with several big-league teams. So, the next time you’re in Mexico, check out the local baseball scene. 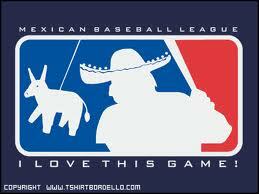 Catch a game some evening (click here for schedules www.lmb.com.mx) and enjoy a slice of Americana – Mexican style. MAZATLÁN, MÉXICO.- January 17, 2011.- Lorena Ochoa, the best Mexico golfer ever, who retired when she was number one in the world, will participate in the 6th Annual Estrella del Mar Charity Tournament this coming January 28 & 29, 2011. The event will be held at Estrella del Mar Golf & Beach Resort and is sponsored by the Lorena Ochoa Foundation, Flyers Team and the resort. This announcement was made today during a press conference offered by Ochoa, world multi- champion. “I did not retire from golf, I only retired from the LPGA, to enjoy more days like these; to help Mexicans in need, and to do nice things for others”, Lorena stated. “Congratulations on the job that all you Mazatlecans have done for children in need. 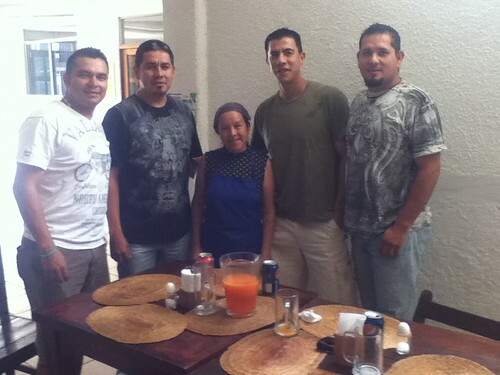 I’m very happy to be in Mazatlán and I really like what I’ve seen so far”, she concluded. After asking what she would tell golf lovers and tourists that might hesitate to travel to Mexico, she responded that we should continue promoting tourism in order to introduce people to our country. Ochoa’s presence in Mazatlán and other places in Mexico are live examples. Even though she was born in Guadalajara, Ochoa embraced the warm welcome she received and felt at home, as her mother is originally from this state. The exhibition match will take place at Hotel Estrella del Mar Golf & Beach Resort on Friday, January 28th, at noon, against Spaniard Azahara Muñoz and on Saturday January 29, Ochoa will offer a golf clinic in the morning. Both events are open to the public and will support charity organizations such as DIF Mazatlán, Los Niños del Rio and other educational institutions. Upon announcing this event, Lorena Ochoa couldn´t hide her enthusiasm. She is an advocate of supporting these type of events for the benefit of the children and the camaraderie of golfenthusiasts. The public will be able to walk with the players during the match and a gathering and autograph signing will follow. The amateur players will play their tournament at the same time the above activities take place, competing for attractive prizes offered by the sponsors, concluding with an air show that includes the best pilots and aero acrobat teams from the U.S. and Mexico. When Drew Grgich called us many months ago to book a shark diving adventure we knew we had a budding Shark Diver on the line. His enthusiasm for sharks you could “feel” all the way from Arizona. He was also a non certified diver, one of the many we “train” to become Shark Divers each and every season. Today Drew can call himself an Official Shark Diver having encountered the top shark species at the best site for them on the entire planet. We came from all over – – Michigan, New Jersey, Nebraska, the Bay Area, Vancouver, Maryland, and Arizona – – and all of us had one goal in mind … swimming with Great Whites. Mind you, none of us had death wishes so our goal was to do this swimming carefully ensconced in a steel cage. Nonetheless, we would be in the water with them and thus, they would be in the water with us! Our journey began in San Diego out of H&M Landing. Our vessel was the MW Horizon, an 88-ft. dive boat. We boarded at about 10:30pm and were underway just after midnight. The first night was spent in fitful sleep while trying to detect whether or not the queasy feeling in our stomachs was the beginning of seasickness or just nerves. We arrived in Ensenada the next morning at around 9am. A quick check with Mexican customs officials sent us on our way to Isla Guadalupe, the fall home of some 100+ Great White sharks. The trip was uneventful if long – – 18 hours long to be exact. We were told that the ride was among the smoothest our captain had experienced. A few of us succumbed to seasickness but for the most part, all was well. We saw some remarkable sights – a blue whale, a thin whale, pods of fast moving and high jumping dolphins. What I remember most about that day is how excited I was. Few people in life are blessed with the sure knowledge of knowing exactly what they want most in life and even fewer get to experience that desire. For me, my most fervent wish was going to happen in a matter of hours. That’s pretty heady stuff! At around 3am, the engine shut off when we arrived at our destination. I went up top a couple of hours later and was not surprised to see other early risers. We attempted to wrestle our cameras into taking decent photos – – not an easy feat at 5am before the sun had even made a token appearance – – and imagined that the murky waters surrounding us were teeming with sharks, each hungry for the first shift of divers. The shift happened to include me! Our divemaster, Martin Graf, took me into the cage and had me try a regulator for the first time. I did okay with the regulator but before Martin would declare me dive-worthy, I had to flood my mask and clear it through my nose. I gave it a good effort but sadly, I panicked when my first attempt resulted in a nose full of salt water. I shot to the surface and for a brief moment, wondered if I was going to be able to succeed. Martin was extremely patient and knew exactly how much space to give me in to get over my fears. My second attempt was successful. The secret was to get a steady rhythm breathing through my mouth to gain confidence, close my eyes, and exhale through my nose while tipping the mask. We didn’t have to wait long. The first Great White appeared within a few minutes, circling the cage a few feet below us in its graceful way. That shark was followed by another shortly behind. Both sharks hovered below and made lazy trips around the cages and all too soon, our first hour’s rotation was over. All of us were fortunate on this trip. Two people had to cancel so this meant we had 10 divers instead of 12. The cages fit four people each. This meant that we could effectively have as much dive time as we wanted. I took an extra shift that first day so I had five hours in the cages. We saw seven different sharks the first day. Most kept a respectable distance from the cage but some ventured close enough to touch if we were really inclined to do so. No one was. 🙂 We knew that they were different sharks as the patterns of markings around their gills and fins serve as a sort of fingerprint. These sharks are in turn named by the people who first see them. Scientists do this so that they can identify populations and measure data points such as the number of years that they have been coming to the island, how much the sharks are growing, and how many sharks are seasonal residents. Some come every year while some visit more irregularly. For the record, the sharks we saw on Day One were Jacques, Bite Face, the Russian, Johnny, Cris Cross, and a new unnamed male. We don’t know who gets to name that shark . . . the suspense is delicious. 🙂 The highlight of Day One — aside from the fact that I was diving with Great Whites! — was a rotation where Jacques circled the cage for the entire hour. I was able to shoot forty minutes of video going from one side of the cage to the other. Some passes were within inches of my video camera – – I got some great shots! The next morning, I took the first rotation of the day along with two other brave souls. We saw some sharks but they were far below. We tried a variety of tricks to attract the shark’s attention – – stomping our feet, hitting the cage ladder with some of our lead weights, singing show tunes – – but nothing enticed the sharks closer that first shift. Following shifts were much more productive. I spent the first three hours of the day in the cages and shot more video. I grabbed another three shifts after lunch for a total of six hours in the cages. There were two highlights on day two. The first was that I happened to be looking in the exact direction necessary to witness a full breach. This is when the shark completely propels itself out of the water while in pursuit of prey. The prey happened to be a seagull and it got out of the way just in time to escape the leaping shark. I was one of two people onboard who saw the breach and it was truly a magnificent sight. It was a smaller shark – – maybe 6-8 feet – – but it was a full breach!! The second highlight was more ignominious. We saw a new shark — Gunther — who was kind enough to – – – well, poop – – – directly in front of the cage next to us. It was amusing to see and pleased the 10-year old children inside my cage mate and I . . . until the current pulled us directly into it. I can thus say that I was blessed enough to be pooped on by a Great White. We left for home following the morning drives and have a rough patch of choppy water to look forward to. I’m writing this as we make our slow way north across the Pacific. I can honestly say that there are four events in my life that top my list. The first would be my wedding with really, a tied two and three being the births of my kids. Close behind would be this trip. I was a little worried that I’d be petrified of going into the water with the sharks but I didn’t have even a lick of fear. The sharks are obviously curious about we monkey folks in the cage – why would they stick around if they weren’t? They certainly did not make any attempts to harm us and I didn’t hesitate to hang my arms out of the cage to hold my camera for a better picture. That said, I wasn’t stupid – – – no dangling legs over the side of the cage, for example. Final Tally on how many hours I dove – – 15.5 hours! My favorite Martin Graf quote – Sharks are like babies. There are only two types of items to a shark — things that fit in their mouth and things that might.